Concurrently, Fuhu is also filing for Chapter 11 bankruptcy. That's alarming, but according to the lengthy post on the official Nabi Facebook page, it's more of a procedural method than an actual decommission of the company as it currently stands. Current orders on the Nabi Shop will continue as usual, and Fuhu intends to continue providing standard support and honoring tablet warranties. There are quite a few orders that haven't yet been fulfilled; the company expects all Nabi Shop orders made before yesterday to be delivered before Christmas. The more interesting question is, what will Mattel do with its latest acquisition? Fuhu gained a considerable following by striking an impressive balance, with tablets that were chock full of kid-friendly content but still accessible and controllable by parents. 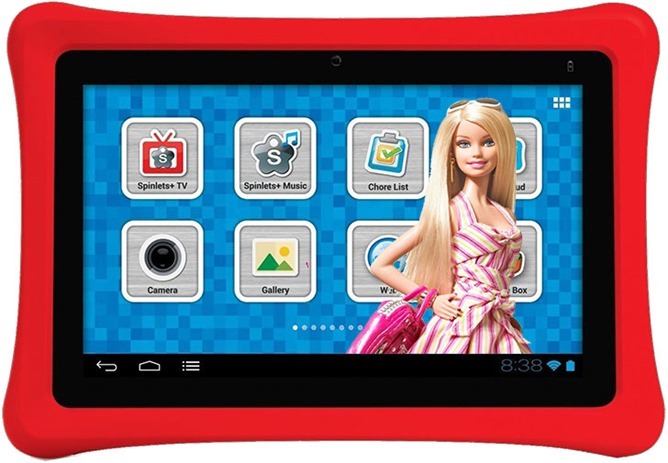 Mattel is obviously looking for an in to the lucrative world of mainstream consumer electronics, or at least that part of it that's made especially for children. It will be interesting to see what comes out of the acquisition - hopefully Fuhu's reliable Android-based software can be preserved to some extent.